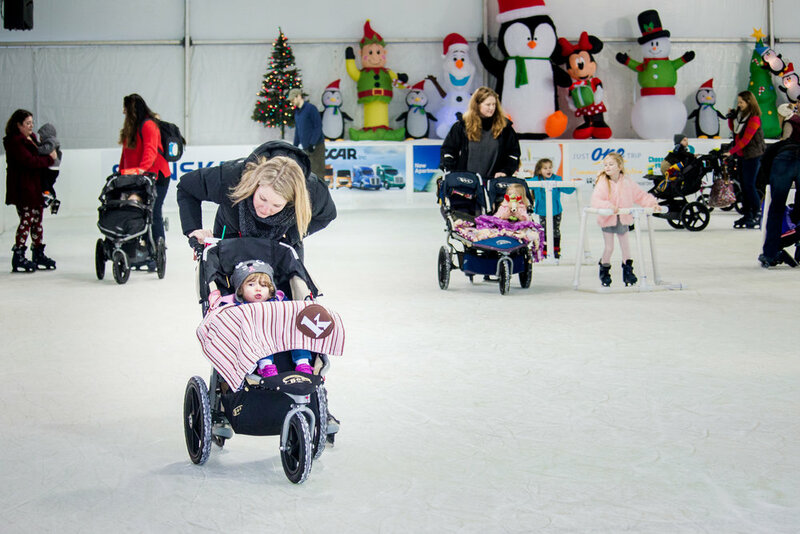 The Region’s Largest Open-Air Ice Rink! 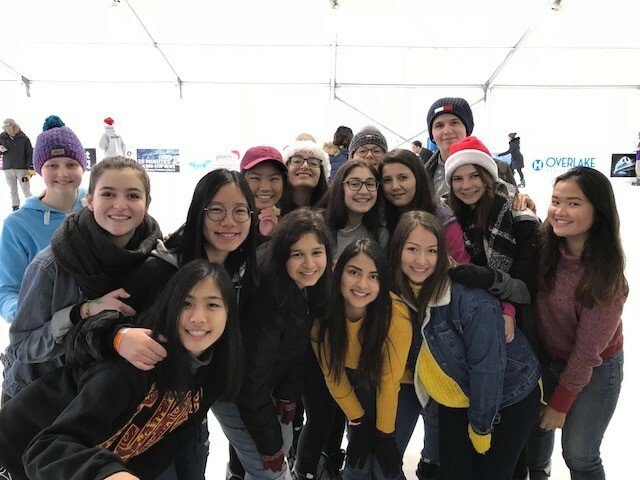 Our doors are currently closed, join us again next season on November 29, 2019! 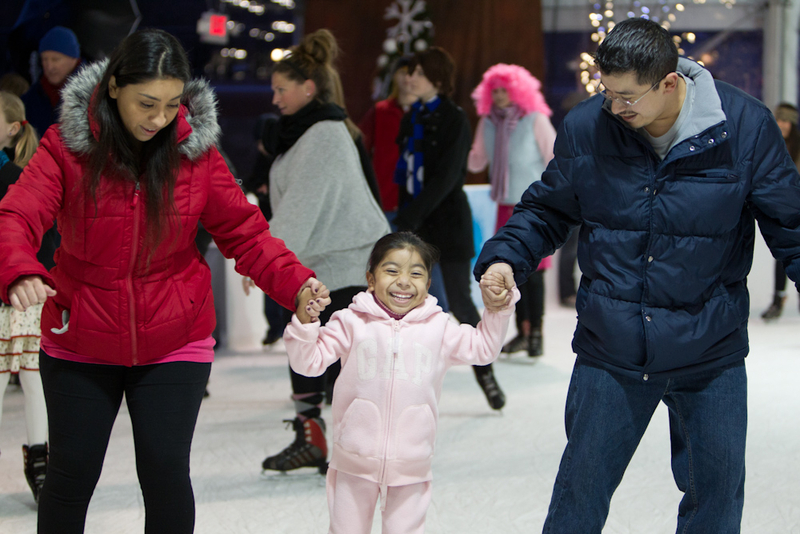 The ice rink is open daily November 23 - January 13, including holiday’s. 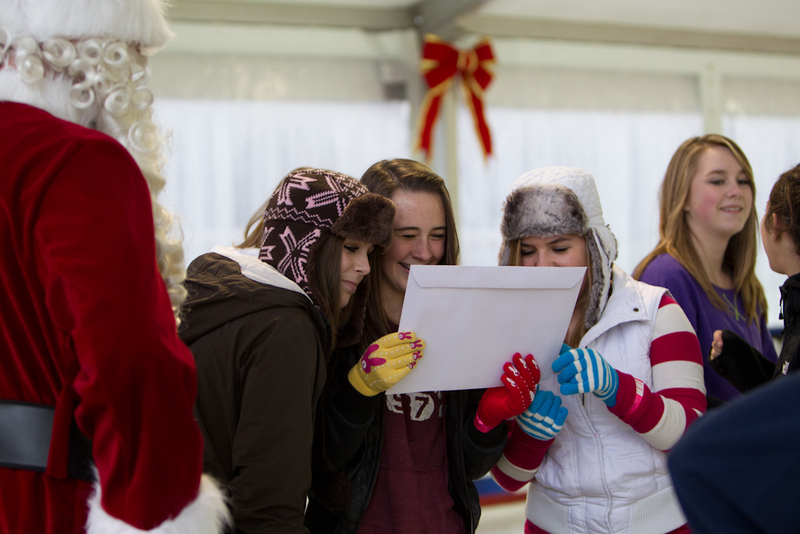 Rain, shine or snow, stop on by to the all-weather covered festive rink. 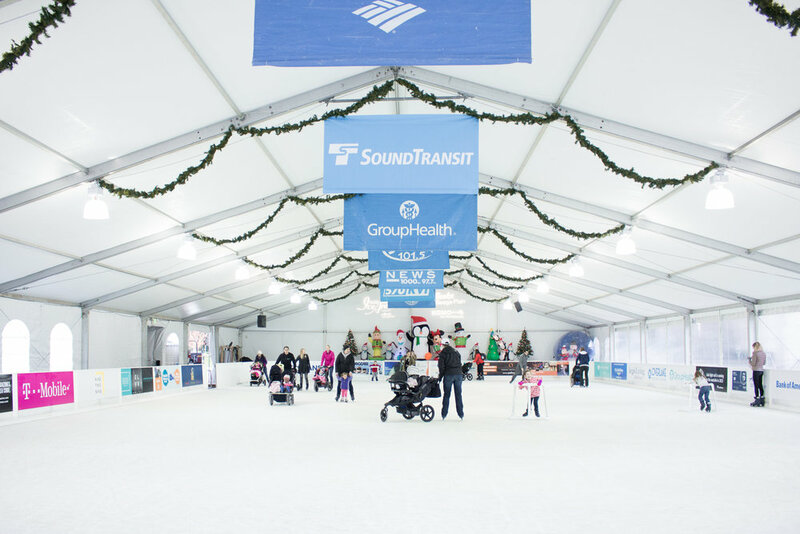 The ice rink is located one block south of Bellevue Square at NE 1st Street and 100th Avenue NE, by Inspiration Playground.  Free 3-hour parking is available while visiting Bellevue Downtown Park. Purchase an all day admission entry at venue, and find out how to save on admission with special discount offers. 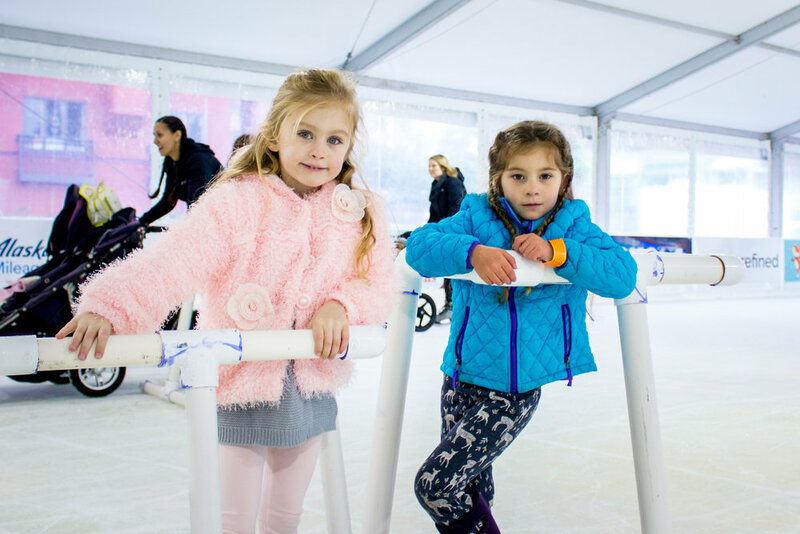 The ice rink has a number of activities for all ages, including Free Skate Mondays, Stroller Skating, Late Skate Friday & Saturdays, and Free Skate Lessons with professional instructors! 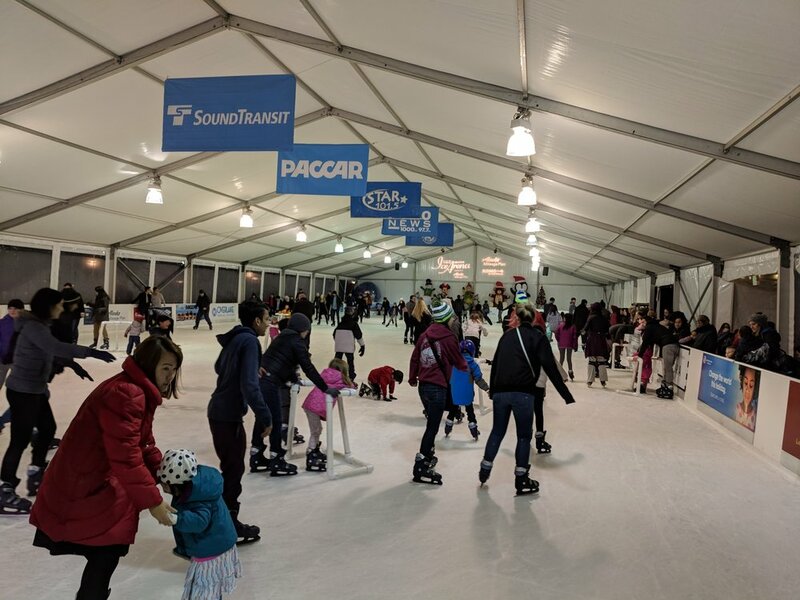 The Bellevue Downtown Ice Rink presented by Alaska Mileage Plan is the perfect venue for a get together, whether it’s an office party, family event, children's birthday party or a youth group soiree! 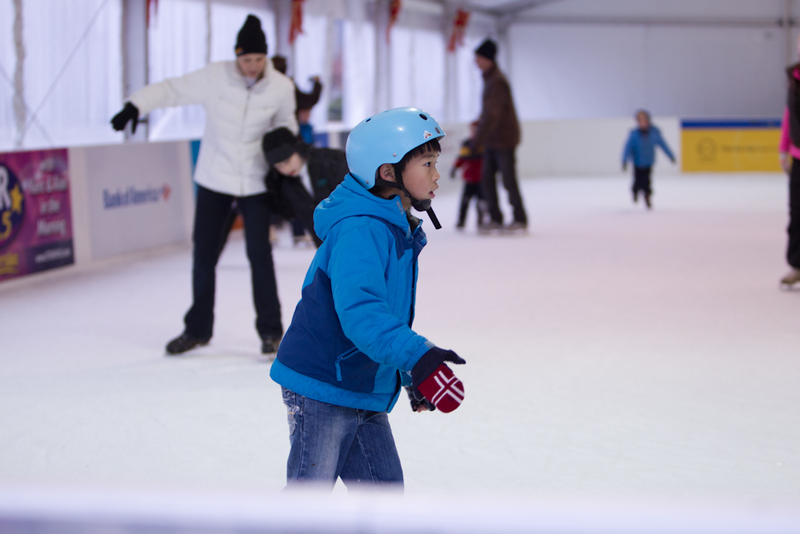 The open-air rink allows you to ice skate in crisp, fresh air. 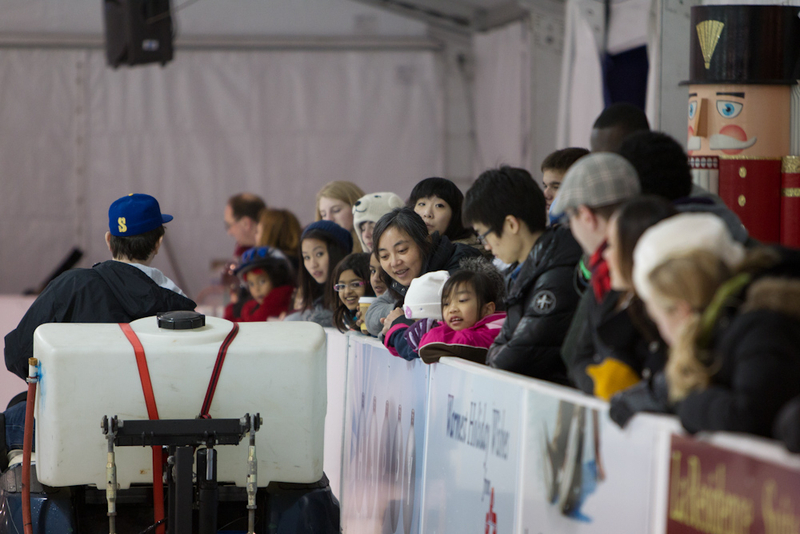 There is an adjacent viewing tent as well so everyone has a place to gather while taking a break from the ice! Consider this once-a-year attraction for your special occasion.